This Stanley STRSGS1Z is everything you need in 1 complete set. You can get all the odd jobs around the house done in no time with this kit. The two plastic trays supplied are strong in construction so the paint will stay in the tray and not on the floor and with cleanable roller sleeves these can be used time amd time again when cleaned thoroughly. With three popular size paint brushes in the kit will make light work on door frames, dado rails etc. 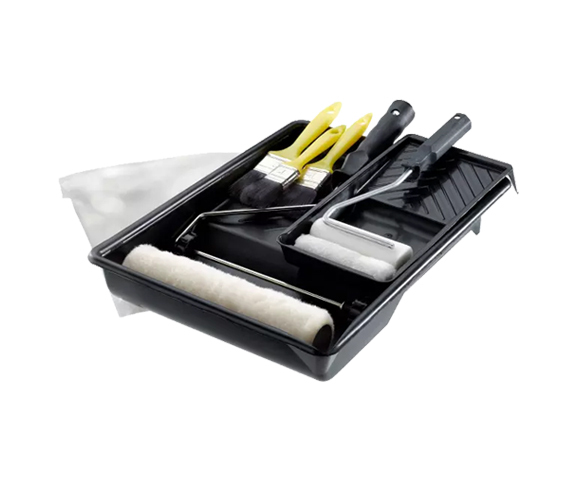 The kit also contains a poly dust cover for covering furniture or for floor protection.